Thoughts in a Haystack: Not Enough . . . Not By a Long Shot! 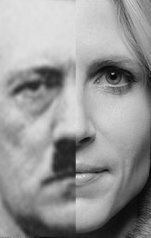 Has anyone done a comprehensive search on Coulter's public utterances to see if she ever mentioned God, Jesus, or Christianity in any positive sense before she started publicizing Godless? By "positive" I mean "other than something to bash liberals with". Not that I am aware of. But if someone has or does, is there a suitable medal for bravery in the face of overwhelming sewage that we could award that courageous soul?